The Russian Foreign Ministry and the Kremlin have spoken out a day after the UK prime minister announced the expulsion of Russian diplomats as a response the alleged poisoning of former intelligence officer Sergei Skripal. Russian Foreign Minister Sergei Lavrov said in an interview to Sputnik that Russia would "definitely" expel UK diplomats soon, adding that it would take place "soon." "[Moscow will be ready to return to a partnership with Brussels] when our European neighbors lose interest in following the US Russophobic tendencies, including sanctions and provocations and when, of course, the interest to put up with the outrageous actions that we are seeing now on the part of the UK government, will disappear, and which go far beyond the bounds of elementary decency. We calmly respond to all these tricks by the fact that we want to talk with everyone and discuss any problems… but do it respectfully, without hysteria," Lavrov told reporters. According to the minister, London's actions over the poisoning of Skripal were caused, particularly, by the UK inability to fulfill Brexit obligations. "I think that this story primarily reflects the desperation of the current UK government, especially in the situation where they cannot ensure these promises they made to their population in relation to leaving the European Union," Lavrov said. Lavrov expressed hope that Russian ex-spy Sergei Skripal poisoned in the United Kingdom recovers and will be able to shed light on the situation connected with this incident. "This is the fact that Sergei Skripal is alive and his daughter is alive. Probably if, I hope, they recover, they will also be able to shed some light on everything that has happened," Lavrov said in a statement published by the Russian Foreign Ministry. At the same time, the minister noted that "no one wants to wait for this" as part of the investigation of the incident, and that everything had already been decided in the investigation into Moscow's alleged involvement in the poisoning of Skripal. Commenting on the issue, Kremlin spokesman Dmitry Peskov has said that UK accusations against Russia in relations to the Skripal poisoning case have all signs of provocation, adding that Moscow was puzzled over the UK's stance on the poisoning of Skripal. "Russia perceives the position taken up by UK authorities with great bewilderment and incomprehension… The accusations are groundless. Moreover, these accusations were voiced before any information about the substance used emerged, which shows the presence of all signs of a provocation against Russia," Peskov told reporters. According to the spokesman, the UK position is irresponsible, "from the point of view of the violation of international law by the UK side." "Therefore, we, of course, are concerned by this situation but we will explain our position to the international community patiently and consistently — Russia has nothing to do with the incident which occurred with Skripal in Salisbury," he added. According to the spokesman, the Russian president will choose the measures which meet the country’s interests. At the same time, Russian Foreign Ministry spokeswoman Maria Zakharova has slammed the allegations made by UK Prime Minister Theresa May against Russia over the Skripal poisoning case as "insane." The UK is refusing to cooperate with Russia on the Skripal case, though this is stipulated by a relevant convention, Zakharova said, adding that Moscow has sent London four diplomatic notes to hold talks on the issue but has received only formal replies. "I would like to inform you that several diplomatic notes have been sent to the Foreign Office via the Russian Embassy in the United Kingdom. They sought to launch an active dialogue with officials in London… We've received meaningless formal replies," Zakharova said, adding that a total of four notes had been sent. Speaking further, Zakharova reiterated Moscow's call on London to provide access to the documents related to the "incident." The official noted that so far the UK has refused to provide any sufficient information on the issue, including samples of the nerve agent. According to the official, the West seeks to link Skripal's poisoning to the issue of chemical weapons use in Syria. “After all, what kind of logic was voiced yesterday and what logic is articulated by the so-called expert community? Damascus uses chemical weapons, Russia supports it. The final point in this is that Russia, Moscow, used chemicals in the United Kingdom … This is one of the tracks of this campaign — to link all these elements and to finish the story about chemical weapons in Syria, no one conceals it,” Zakharova told a briefing. The Foreign Ministry's spokeswoman said that the UK had been "pushing" Russian diplomats out of the country via visa mechanisms for several years. "At a certain point, we have understood that all these developments are intentional and are not of a random nature. The utmost has been done to create obstacles for the activities of the Russian embassy in the United Kingdom's staff," Zakharova said at a briefing speaking about the so-called visa war waged by London by refusing to issue or prolong visas for Russian diplomats or by protracting this process. The diplomat added that the Russian Foreign Ministry had taken a number of steps to settle the issue by bilateral channels and called for "unblocking of this situation." "Of course, we have commented on the situation, but we have done it in a very correct manner. If London has decided to make the steps, known by everyone now, then it is true — during a number of years, the Russian diplomats had been literally driven out [of the United Kingdom] and the official UK authorities have created obstacles, including by visa mechanisms," the spokeswoman said. Thus, Moscow has no doubt that London has launched an anti-Russian campaign, Zakharova said, adding that Britain's attitude showed that the "Russophobic hysteria had reached a new level." "The head of a state with nuclear weapons groundlessly accuses another country of aggression… and puts forward an ultimatum with a 24-hour deadline… This is reminiscent of a talk show," the spokeswoman noted. Commenting on the issue, the Russian Foreign Ministry said that it regarded the punitive measures as a gross provocation that undermined the foundations of normal interstate dialogue between the two countries and reiterated the denial of Moscow's involvement in the alleged poisoning. In a statement made on Thursday, the UK foreign secretary publicly stated that London had refused to send samples of the substance allegedly used to poison Skripal. He claimed that Russian President Vladimir Putin allegedly wanted to tell people thinking of defecting from Russia "you do that, you're going to die." Johnson said he was "struck by the smug sarcasm with which the Russians were denying the attack," adding that it was "obvious," Russia had illegally hung on to stocks of Soviet chemical weapons. 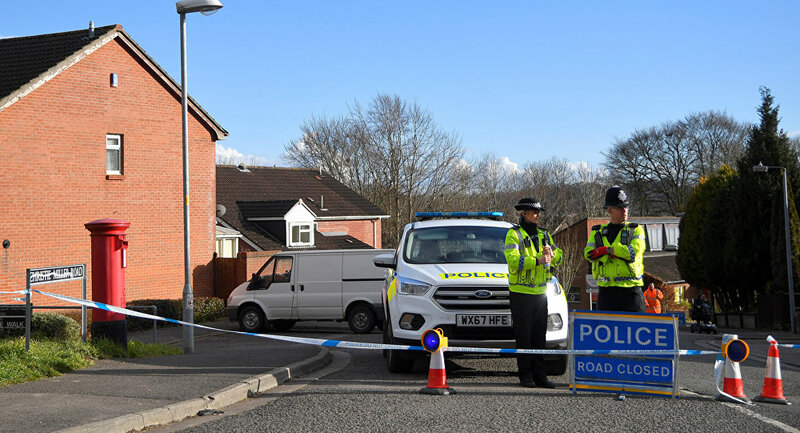 Sergei Skripal and his daughter Yulia were found slumped unconscious on a bench in Salisbury after being exposed to what British experts have identified as a Russian-made nerve agent. Russian officials have rejected London's claims that Moscow was in any way involved in the incident. 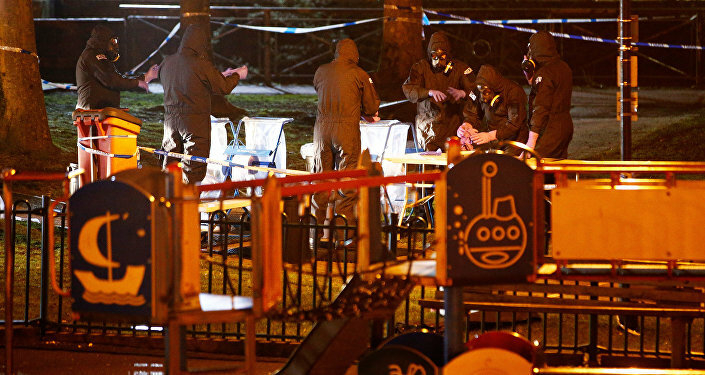 Foreign Minister Sergei Lavrov has stressed that Russia was ready to cooperate on the investigation but needed to have access to the case materials, including samples of the substance in question.